Laminate flooring may just be the best all-encompassing package for your decorating dollar and perfect for busy families and what is a great point about this type of flooring is that hardwood floors are low maintenance. At Carpet Mill Outlet Flooring Stores we provide our customers with the best flooring choices as per their needs and requirements. With us, customers get the perfect laminate flooring in Denver for their homes and offices. If you are looking for the perfect laminate flooring styles or the right laminate wood flooring colors, textures and dimension then our professionals will help you out in choosing the right combination within your budget. Most laminate wood flooring manufacturers in Denver offer extensive warranty protection against stains, fading, and moisture damage. Hardwood floors, on the other hand, are subject to wood grain staining, fading in sunlight, and can scratch and dent easily. There is no doubt that laminate flooring options are quite popular in Denver. It’s a great choice for your home, especially if you are wanting to keep warm during the winters. With Carpet Mill Outlet Flooring Stores, not only will you just get good discounts on laminate flooring but also our experts will be helping you out in every way possible to provide you with an amazing shopping experience. 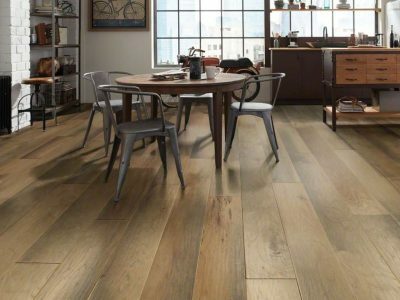 Carpet Mill Outlet Stores are located across the Front Range in Arvada, Aurora, Evergreen, Fort Collins, Highlands Ranch, Lakewood, Littleton, and we also offer laminate wood flooring in Thornton. Our expert staff is ready and willing to assist you in finding the perfect laminate flooring. Stop in today!